Here’s another shot from my collection. It’s by the same photographer as yesterday’s post, and like the other picture, was taken from a moving car and developed in February of 1969. Captioned Newark, NJ, although Kevin Patrick has corrected the photographer’s location, with the address 156 Spring Street, Elizabeth, NJ. Even though the Garden State was only about 20 years old when this picture was taken (the equivalent of a diner built in the mid 1990s today), it’s seen better days, with broken and boarded windows throughout. 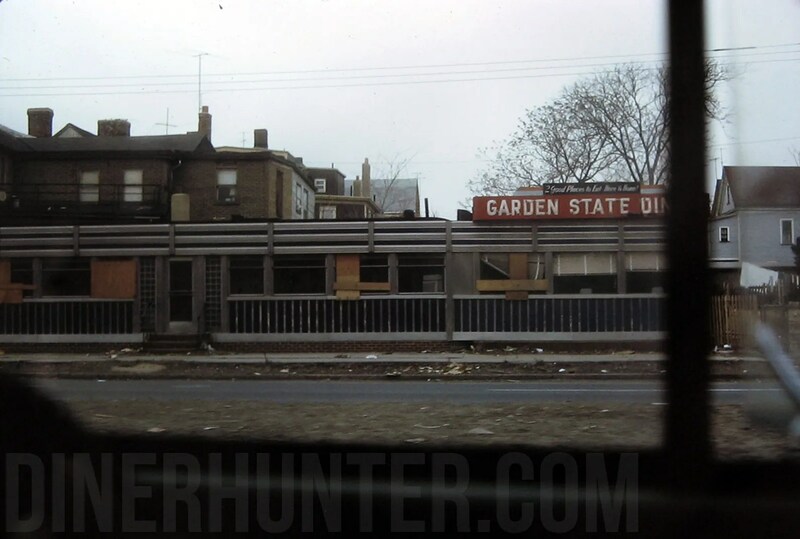 This entry was posted in Abandoned, Diners / roadside related, Diners/ restaurants and tagged 1967, 1969, diner, Garden State Diner, Newark, NJ, photograph, restaurant, Riots, slide, Vintage by Spencer Stewart. Bookmark the permalink. Just makes me wonder, was it ever revived? Long gone?